SURFIN’ Ocean City, MD! 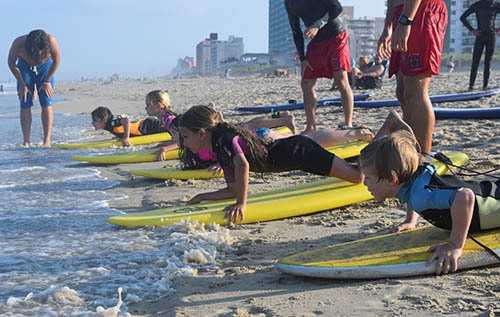 Endless Summer Surf Shop partners with the Ocean City Recreation Department to offer this great camp to learn the art of surfing. Determined instructors work with each camper to get everyone up and riding waves. This evening camp offers a unique opportunity to learn surfing and enjoy some fun beach games with the group. Rest assured, the Ocean City Beach Patrol will be watching the waters during the camp. TIMES: 5:30 p.m. – 7:30 p.m. CAMPER NOTES: Participants must be proficient swimmers in the ocean.